I found out, when I was 14, that my mother had undergone rhinoplasty before marrying my dad. I inherited her nose and hated it. I was bullied at school, outside of school, boys would make jokes about it when on nights out, it got the point where my anxiety intensified if I spotted anyone looking at my profile. I was so bullied at school (for this and being hairy), that I fell into depression and developed body issues. I finally spoke to my parents and they paid for and fully supported my decision to get a nose job. 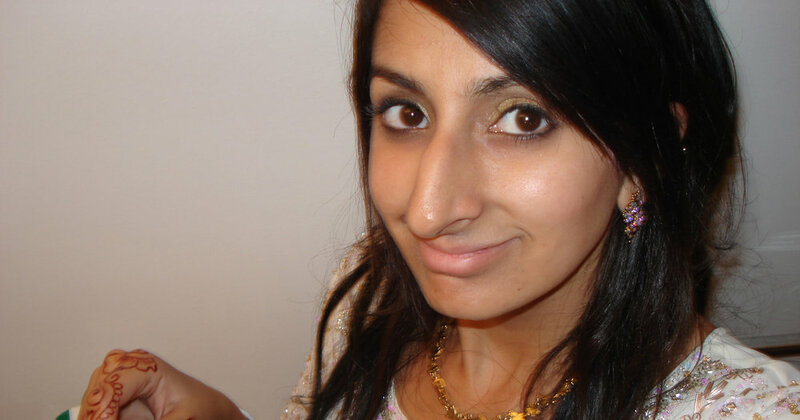 It took me a while to notice it as a ‘feature’ on other Indian people, because in my mind, I was the only person to have such a ridiculously absurd nose. My family called it the luck of the draw, you either have a 'nice' nose or a hooked nose. Which is a horrible sentiment, because hooked noses aren’t the opposite of ‘nice’. We've been told that a small nose is the only acceptable feature because predominately white people have small noses and they were essentially the ideal. I later realised that having a nose of any other shape or size is an important part of your identity. I wouldn’t have gotten my nose job if I knew I was conforming to standards of whiteness, but at the same time, I was a vulnerable Indian teenager, struggling to exist in British society. I didn’t feel like I could conduct myself as an able person in society with all my crushing anxieties and hoped it would help. I told myself that I needed to be accepted and that it’s important for me to ‘fit in’ and ‘be the same as everyone else’. I believed that if I removed a cultural characteristic from my face, I would essentially became more appealing. I was happy but also worried about how much more I needed to change to fit in. It was an odd moment in my life: I was an Indian girl, trying to be accepted by attempting to being 'the norm', despite being very different. I don’t feel less ethnic now, but I am definitely aware that my ethnicity was maybe more noticeable at first. I’ve grown older and I’ve started identifying with my culture a lot more, as part of my development and growth. It’s only recently I’ve started feeling more confident, and it came with embracing my Indian heritage. I feel that my ethnicity isn’t just defined by my facial features, but with my social, political and cultural stance (also, family, obviously). Even though I made a change to my face, I still feel very Indian. I know now that I looked nothing but beautiful, but that realisation is part of my recent self discovery. I would have wanted someone to say ‘if you want to get it, of course get it done, it’s your body do what you want with it! But also realise that hooked noses are beautiful too, we just never see them and there’s nothing wrong with embracing that’. Editor's note: I spoke about this in Cosmopolitan's February issue!